Nstant Replay TF “Jake” is an exciting new stallion by the late Amaretto D’Arco and out of Toscane R. Jake was a national top 3 colt overall for both his BWP/NAD foal crop and two year old futurity. He was awarded his provisional license on the 2016 keuring tour as a 3 year old. Jake is a large modern type with three strong gaits and has demonstrated incredible scope and style in the jump chute. He possesses very correct conformation and natural balance. His sire Amaretto D’Arco, was an Elite BWP/NAD stallion by the great Darco. He was a fierce competitor with many top performances in grand prix and nations cup events. Amaretto D’Arco has passed along his power, type, style, and solid foundation to his offspring. 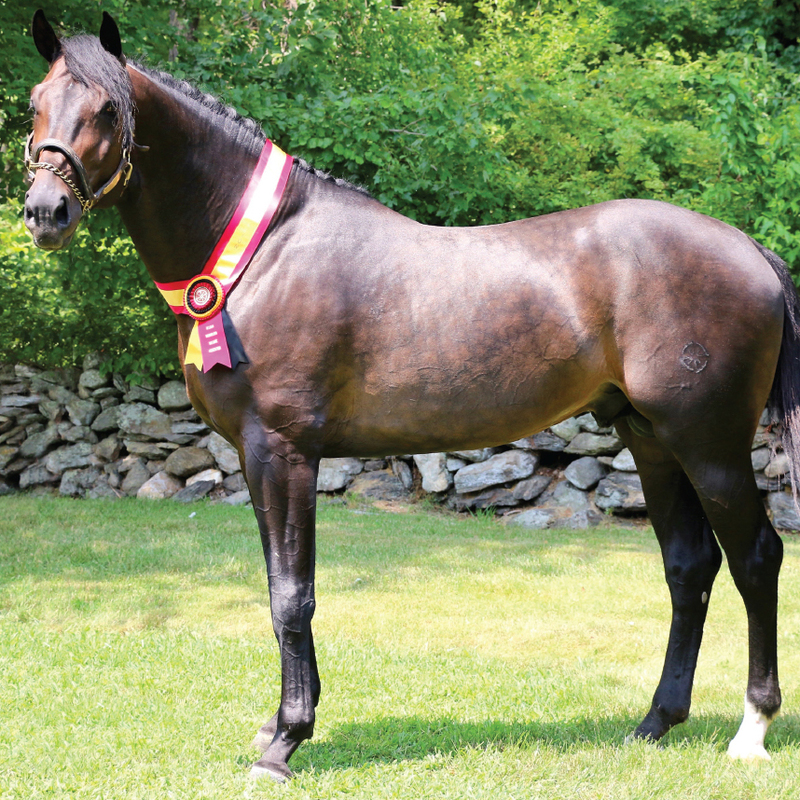 Nstant Replay TF’s dam, Toscane R, is an Elite BWP/NAD mare that has numerous top finishes in international classes herself. Toscane R is by the successful international jumper Cavalier. Her dam Nienke RV is a super producer of seven world class jumpers including Toscane R.